At Lake Marion Chiropractic Center, out Lakeville chiropractor is committed to our health and wellness. Our very own Dr. Couillard has the experience, knowledge, and resources to provide the highest standard of care to patients of all ages. And with two convenient locations in St. Paul and Lakeville, you're never far from the chiropractic care you need. Specifically, chiropractic care refers to an alternative form of medicine that is focused on treating conditions, injuries and issues related not just to the spine, but to the entire musculoskeletal system. Chiropractic care techniques can be used not just to treat pain and other symptoms, but to prevent them from occurring in the first place. After all, your spinal health can have a major impact on other areas of your overall health. With routine care from our chiropractor in Lakeville, you can improve your overall health and wellness. There are many benefits of trusting chiropractic care over more "traditional" forms of medicine. For starters, chiropractic care is holistic and non-invasive, so you don't have to worry about the many risks associated withinvasive treatment options. In some cases, chiropractic care may even be a viable alternative to surgery. Furthermore, chiropractic treatments are drug-free, allowing you to find relief without the need for potentially dangerous prescription drugs that often come with their own side effects and risk of dependency or addiction. 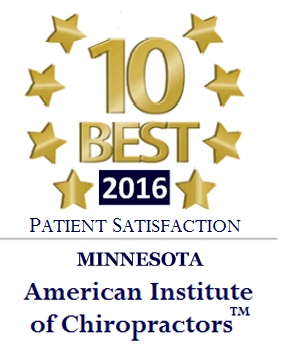 With chiropractic care, you can feel good about receiving treatment from our chiropractic in St. Paul. Finally, chiropractic treatment techniques always focus on treating your pain or other symptoms directly at their source, rather than "masking" them with painkillers or other drugs. Our specific treatment recommendations are custom-tailored to each patient based on their individual needs and lifestyle. However, spinal manipulation is a common technique used to correct imbalances and alignment issues in the spine, thus providing relief from pain and other symptoms. We also offer other manual techniques, massage therapy, spinal decompression, and much more to help patients find relief from their symptoms and improve their overall spinal health and wellness. If you're in need of chiropractic care, it's time to schedule your appointment with Dr. Couillard, our St. Paul chiropractor. You can reach our team at Lake Marion Chiropractic Center by giving us a call at 952-467-6676. With two convenient locations, you can book your assessment with our chiropractor in St. Paul or Lakeville. We look forward to meeting you! Chiropractic care is an approach that utilizes manual adjustment and manipulation to manage pain, restore functionality, as well as to stimulate your body’s muscular and nervous system. Who are the best candidates for chiropractic care? 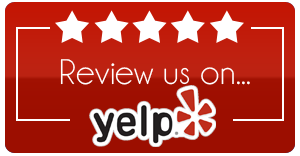 Our chiropractor in St. Paul and Lakeville says that chiropractic is ideal for everybody. However, it is more suitable for those living with back pain, arthritic pains, disc injury, headaches, neck pain, scoliosis, sports injuries, and migraines. A physiotherapist's primary role is to restore movement for patients who were immobilized as a result of an injury or illness while a chiropractor diagnoses, and treats neuromusculoskeletal conditions. What does the first visit to a Lakeville chiropractor look like? During your first visit, our Lakeville chiropractor will assess your health history, conduct a physical examination, and then formulate a personalized treatment plan that suits your health needs. Does chiropractic care use a similar approach on all patients? No. Since different patients have unique health problems, our chiropractor in Lakeville will evaluate you and then develop an approach that aligns with the patient's case. Is chiropractic care ideal for a patient who had back surgery? Yes, chiropractic care is suitable for a patient who had back surgery. Dr. Couillard of Lake Marion Chiropractic Center says that chiropractic care can prevent repeated back surgeries. In fact, it can prevent unnecessary back surgeries if it is used as the initial medical intervention. Is chiropractic care suitable for my child? Yes. Some chiropractic adjustment procedures could improve your kid’s spine health. Furthermore, chiropractic care can combat a variety of health issues that emerge at adulthood or old age. Yes. Prenatal chiropractic care can alleviate many pregnancy-related problems and can be used to lessen the pain and discomfort which results from sciatica during pregnancy. Besides combating pain, the drug-free approach positions the baby accurately, and it makes delivery easy. 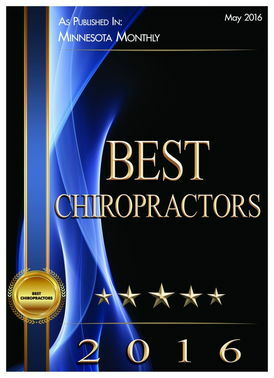 A chiropractor must have a Doctor of Chiropractic degree from a recognized institution. After completing their undergraduate, the doctor will undertake the National Board of Chiropractic Examiners Exam, before he or she is licensed to practice. 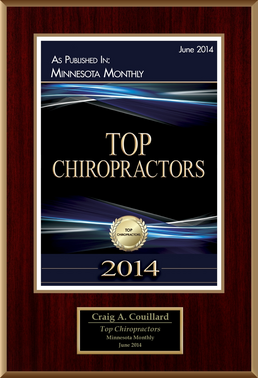 Contact Dr. Couillard, our chiropractor in Lakeville by calling 952-467-6676. We have two conveniently located chiropractic locations in Lakeville and St. Paul. 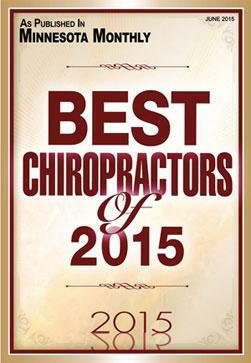 Contact Lake Marion Chiropractic Center today.